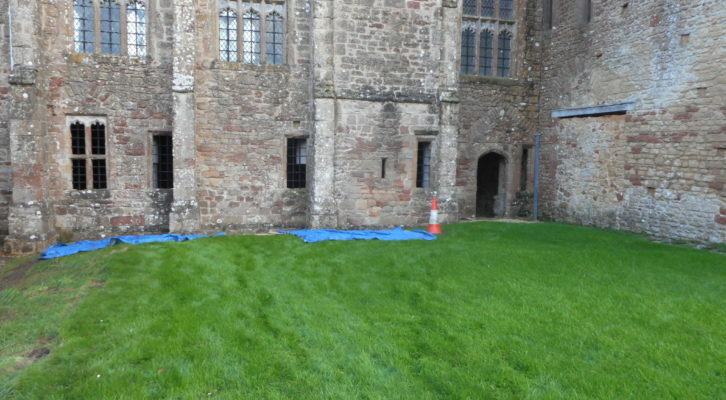 Instructed by Ellis & Co on behalf of the English Heritage Trust we monitored groundworks for a timber-framed pavilion at Cleeve Abbey Somerset to safeguard a 13th -century tiled pavement regarded as being of European significance. Cleeve Abbey is a Scheduled Ancient Monument founded in 1198 and the pavement represents a survival of the 13th -century Refectory building. Late medieval pottery was recovered together with glazed roof tile and oyster shell.